I grew up as the son of a former Professional baseball player/ Manager. I saw a side of the baseball life that isn’t normally portrayed on film. In some ways what is on screen is borrowed from my life and the people I knew in the game. It’s not so much a baseball film as it’s a father/son story…a “sins of the father” tale if you will. 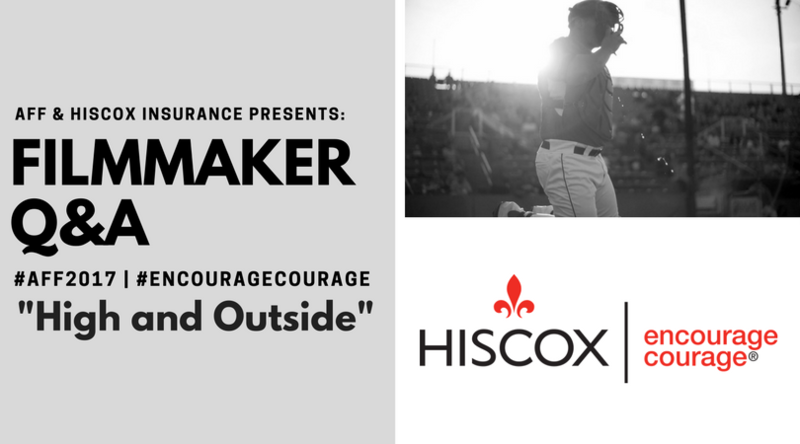 Although the backdrop is baseball, the story is a universally human one in that, in spite of our best efforts, life doesn’t always turn out as we hope. We feel it’s a story most people can relate to, simply because they’re human. I feel deeply connected to each of the characters in this film. There are bits and pieces (some big, some small) of people near and dear to me, and even some of myself spread amongst them. I’ve seen and even experienced some of their joys and pains. Some of the smaller characters had backstories on the page that showed strong past connections to Len Harding (Geoffrey Lewis). As we shot and edited the film, we found that cutting out those story lines made the film tighter & kept it moving. The most courageous decision everyone made was not to give up. This was a tough role for Geoffrey Lewis and he didn’t pull any punches with the subject matter. He went for it to the fullest, at times in fragile health. The biggest risk we faced was not finishing. We used our original Kickstarter seed money to shoot about 1/4 of the film with the intention of raising the rest of the funds quickly by teasing the footage we had already shot. Unfortunately, fundraising was brutal, and we ended up getting small investments here and there, shooting what we could with the money we were scraping together. They say,”where there’s a will, there’s a way” and we embraced the challenges by just not giving up. We decided to look toward John Cassavetes’ films because of the realism. I didn’t want to put the actors in a box. I wanted to give them the freedom to make the characters their own while still staying within the confines of the story. We were not looking to tie everything up in a neat little bow. As far as the look, Gabriel Mann (our DP) did a great job of giving the actors the space needed while adapting to all the tough situations of our locations. We knew going in that Phil’s character wouldn’t be your normal protagonist. Instead, he is the protagonist and antagonist balled up in one. He’s quite literally a mess. After much discussion, we decided not to add the proverbial “puppy” scene to make him more likeable. Phil’s character is exactly as he stands, good or bad. I feel like the actors really took risks in their performances and put themselves on the line to make their characters real. We shot quite a bit without permits. Including our scene at LAX airport, which was very risky. Teamwork plays a huge part. Don’t ever think that because you are a director or a producer or a screen-writer that you have all the answers. The best films are true team efforts, and brainstorming at every obstacle to bring the story to life in the best way possible.